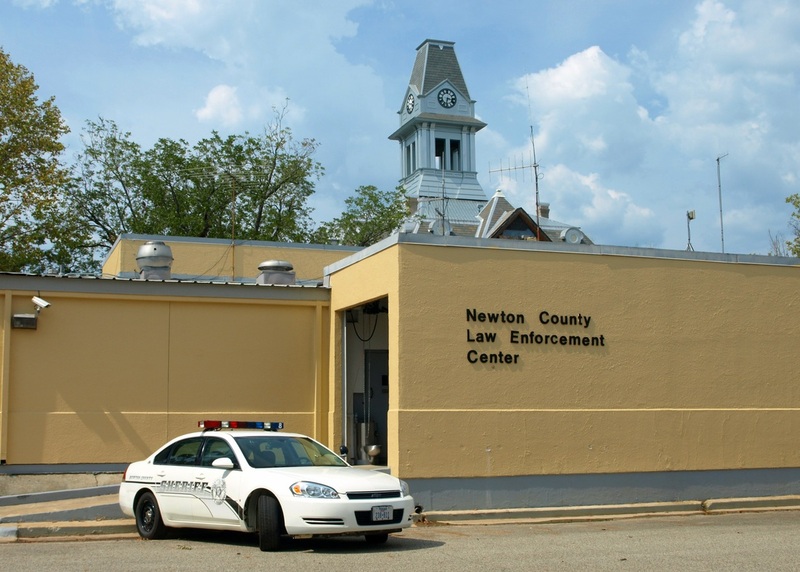 "The state legislature marked off Newton County on April 22, 1846, from the eastern half of Jasper County and named it in honor of John Newton, a veteran of the American Revolution. The county's boundaries have remained unchanged since that time save for a small cession along the western border to Jasper in 1852. 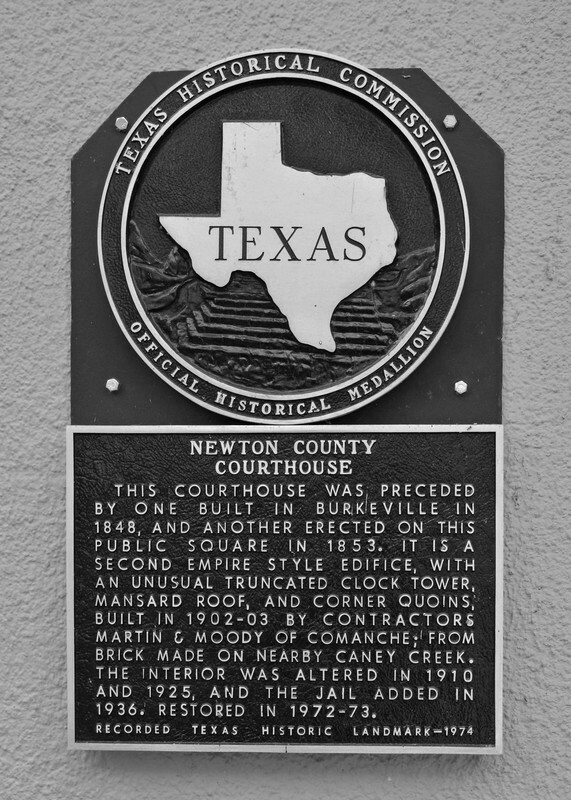 "The issue of the location of the courthouse dominated Newton County's early history. 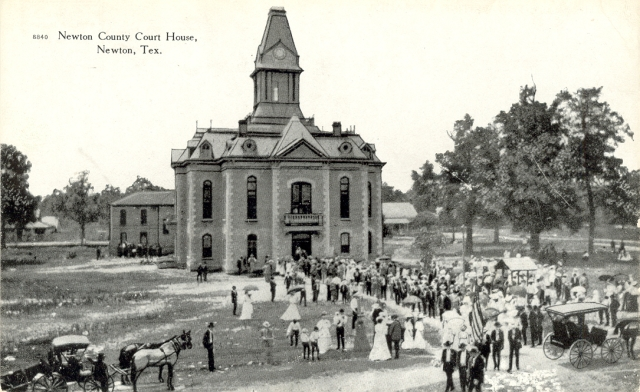 Electors originally voted to place the seat at the center of the county, and the first commissioners' court meetings convened near Quicksand Creek as a result. 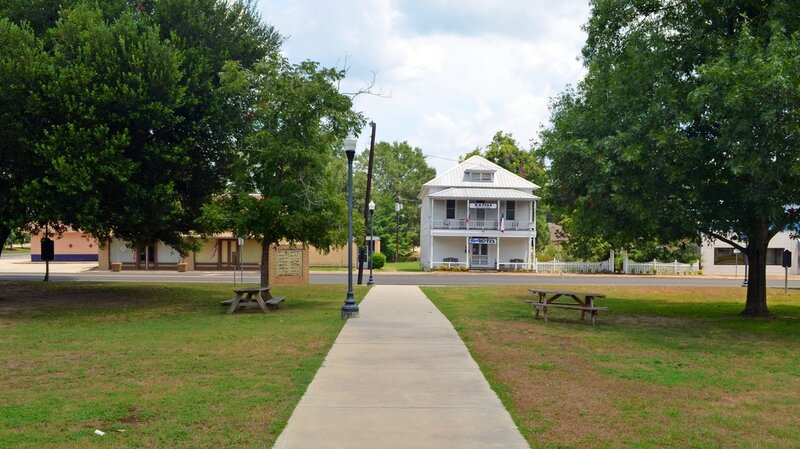 However, citizens of Burkeville successfully petitioned the Texas legislature to make their town the county seat in 1848. 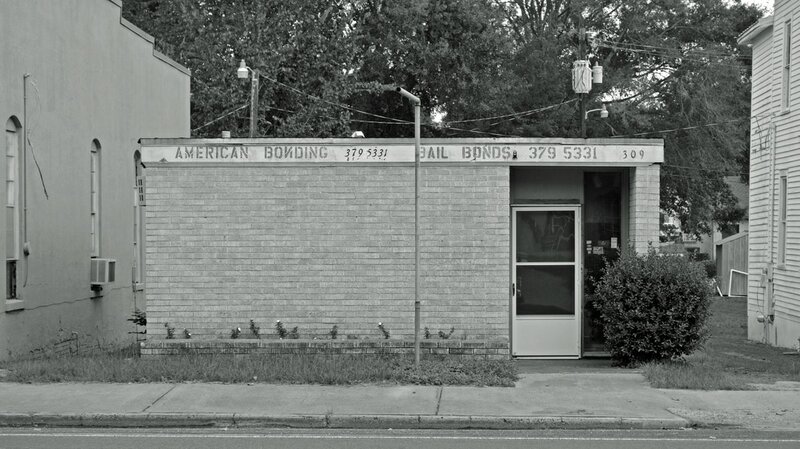 Voters narrowly approved the new location the following year. 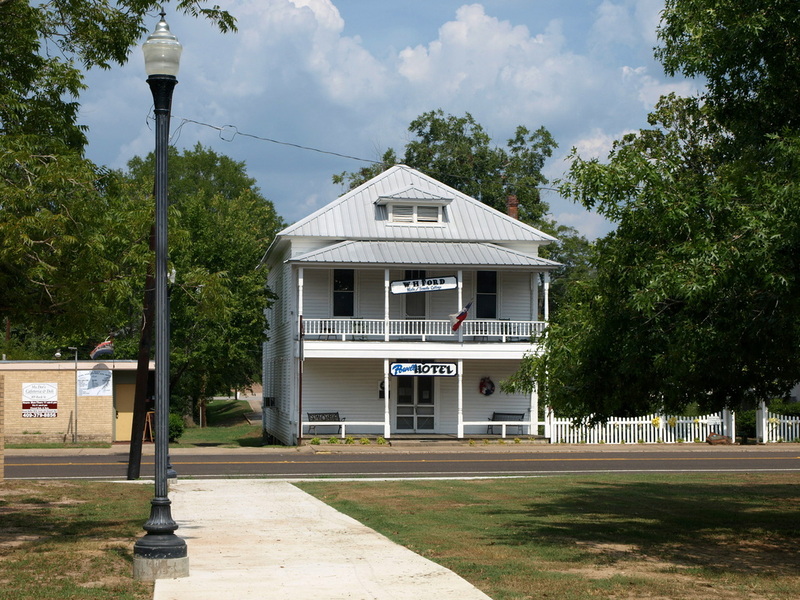 In 1853 a dispute concerning land titles, followed by yet another election, resulted in the move of offices to Newton, a newly established community at the geographic center of the county. 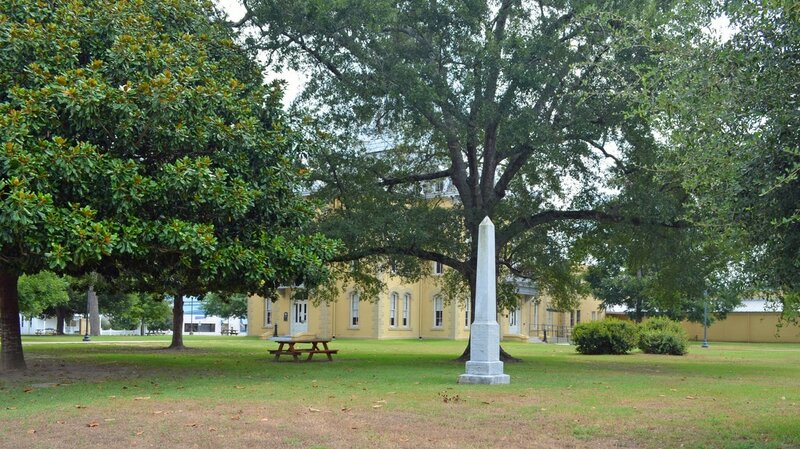 Burkeville citizens refused to give up the struggle, and an 1855 plebiscite favored Burkeville by a small majority. 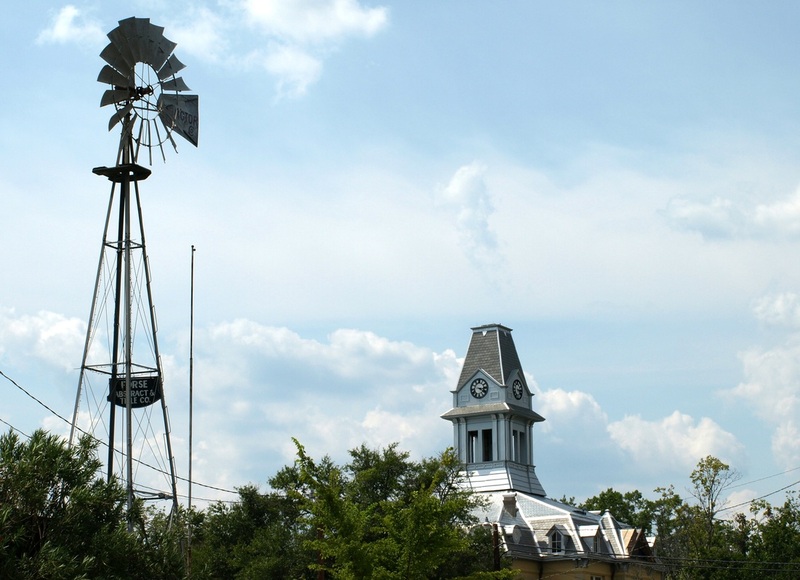 County officials refused to leave Newton, however, convincing the legislature to recognize that city as the proper seat of government, where it has since remained." 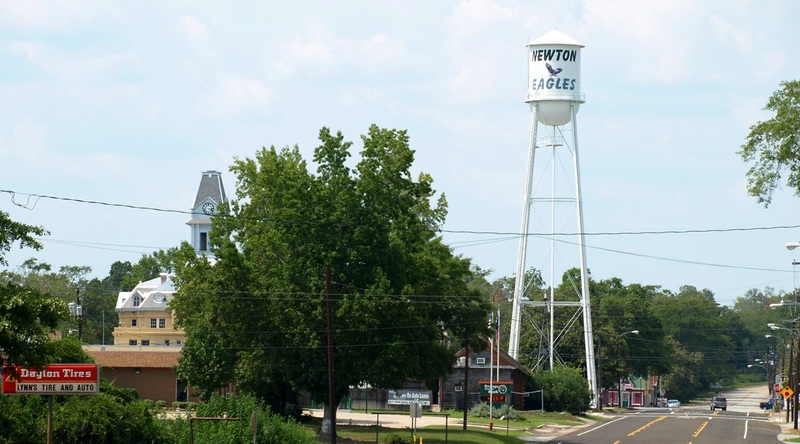 Newton County is a long, skinny county, about 64 miles in the north-south direction, but only 8 to 22 miles wide in the east-west direction. 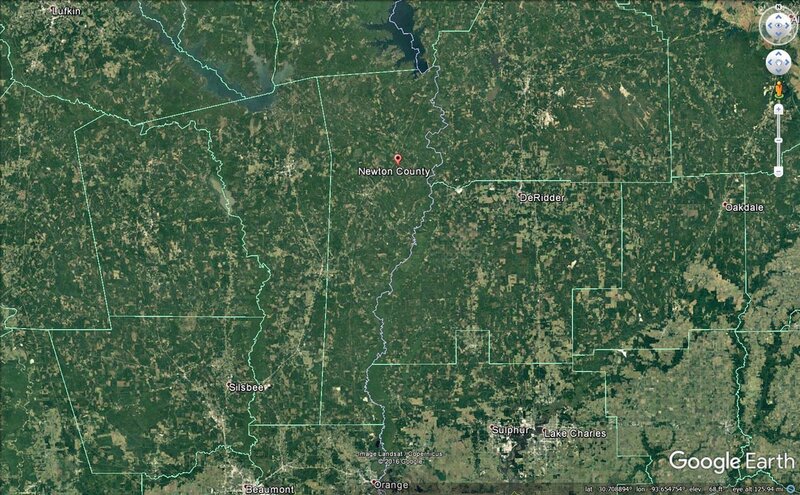 This is a result, of course, of splitting Jasper County in two, to create Newton County. 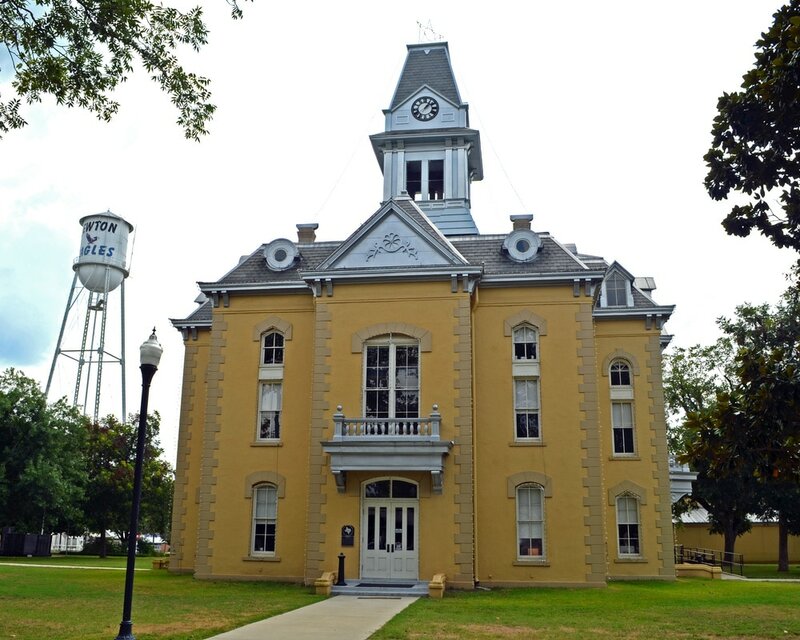 I visited Newton County and photographed the courthouse on August 20, 2011. 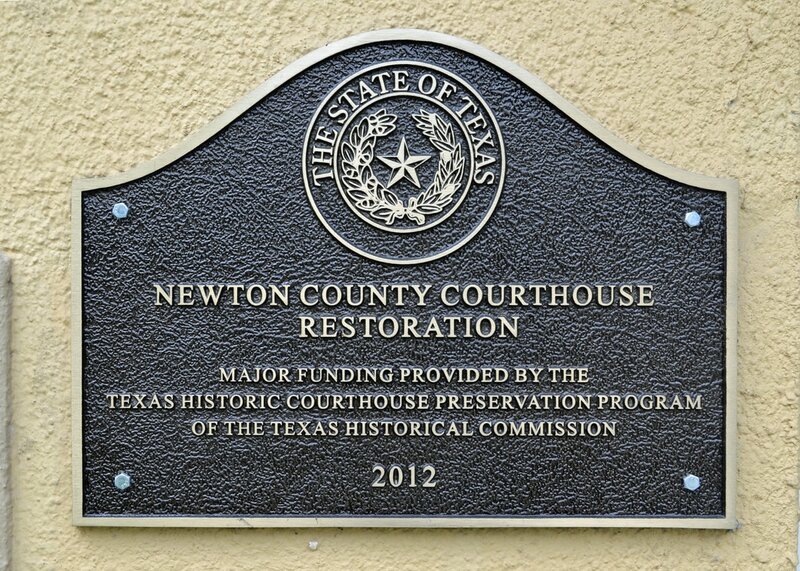 The courthouse restoration project was on hold when I photographed the courthouse in 2011. I understand work has begun again and the new completion date is in October 2012. 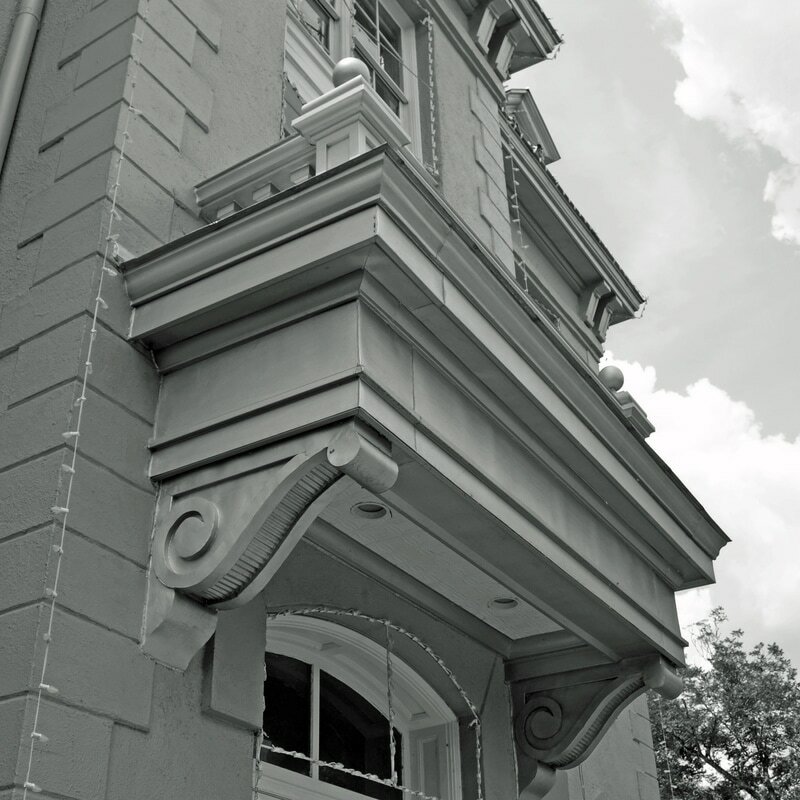 I returned on August 16, 2015 and photographed the restored courthouse. 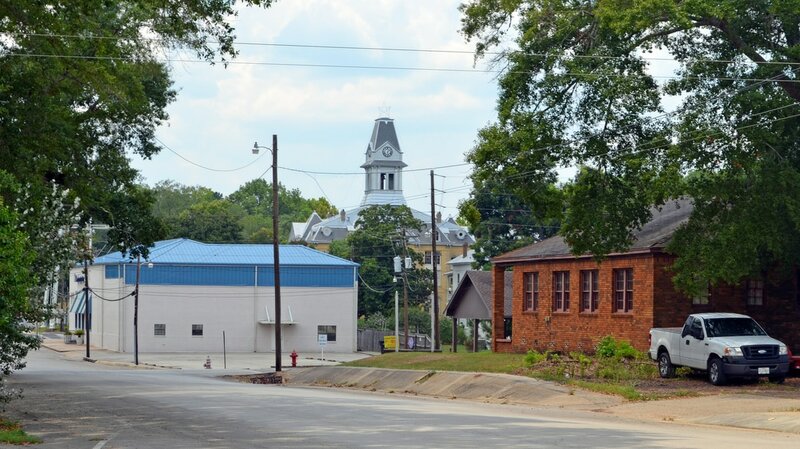 The county seat, Newton, is a small town, population 2,478 in 2010. 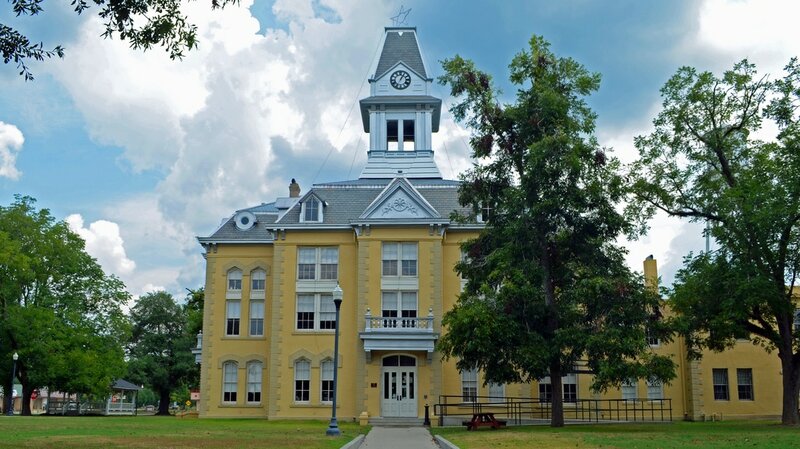 "The Newton County Courthouse dominates the town square as a provincial statement of the Second Empire Style. 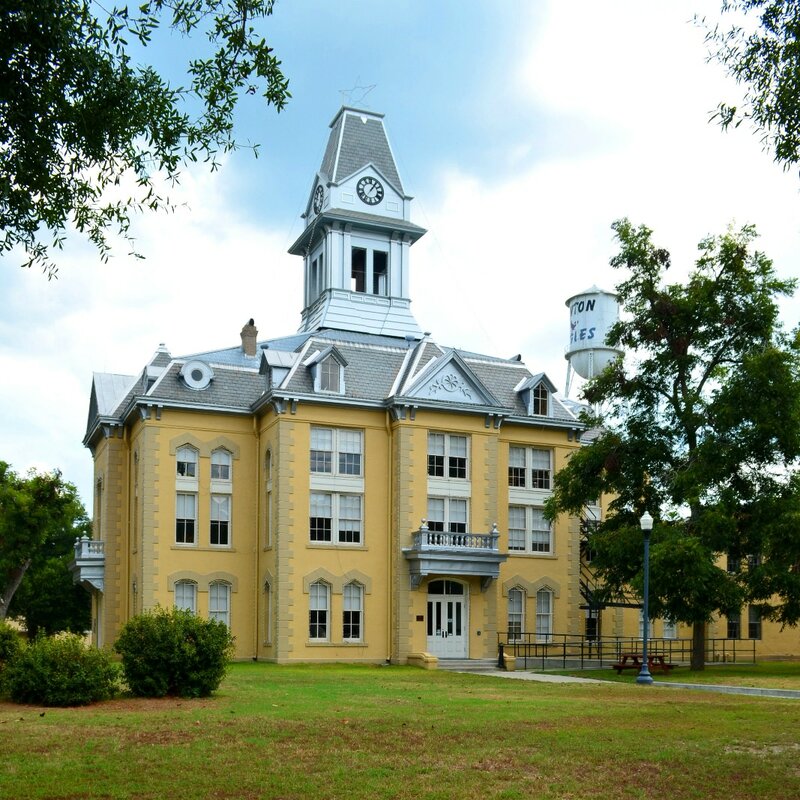 This style, also known in the U.S. as the General Grant style, was a mode popularized during the latter half of the 19th century, particularly for public edifices. 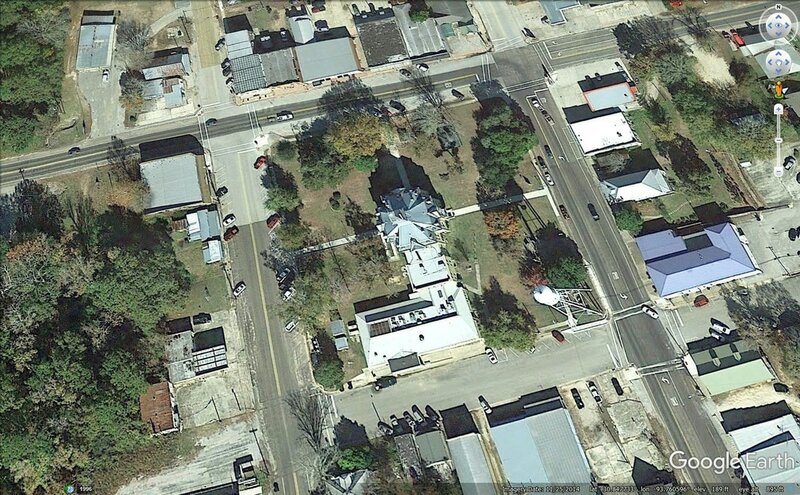 The geo-graphic separation of Texas from design centers hampered its acceptance of stylistic developments; thus, although the Newton County Courthouse was constructed in the 20th century, it represents the 19th century Second Empire style with its three-dimensional, mansardic massing. 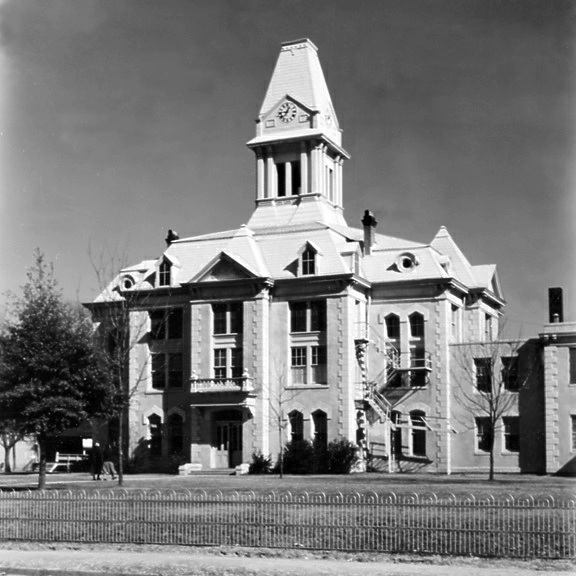 Originally symmetrical in plan, the square form was extended to the south with a two-story courthouse annex and jail in 1936. 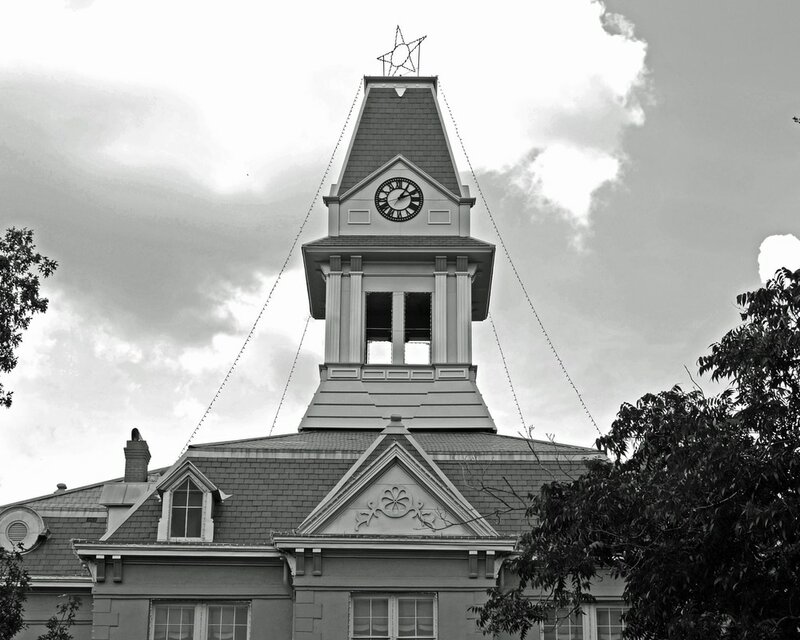 The courthouse tower, viewed from the east, on Main Street. 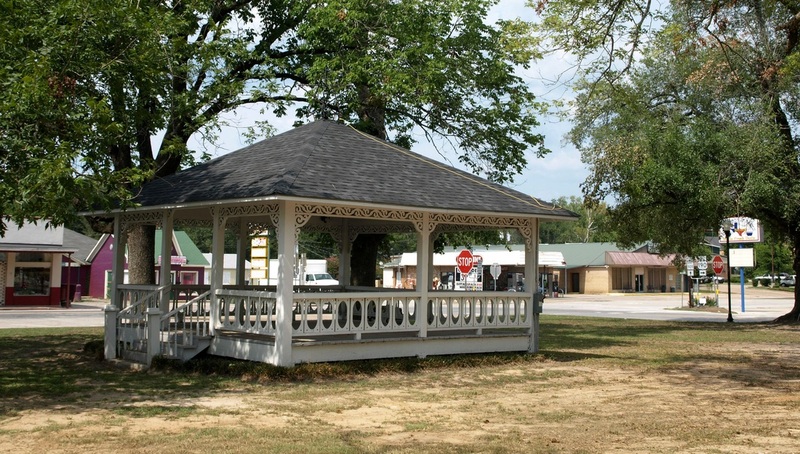 The courthouse square. 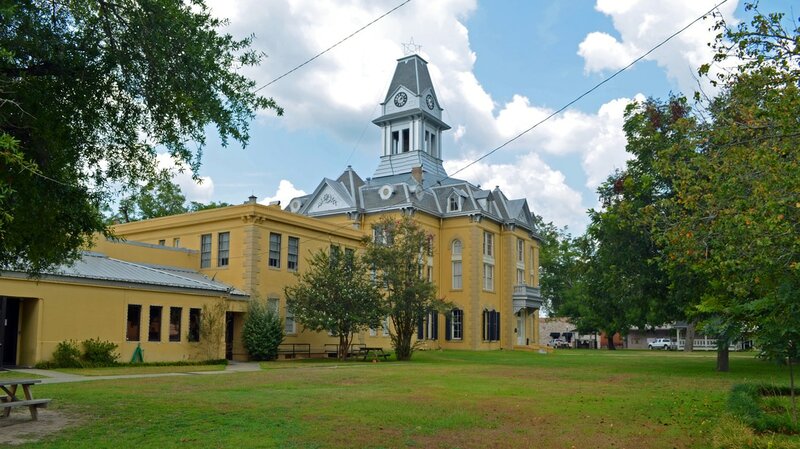 The county sherriff's office and jail are attached to the courthouse. 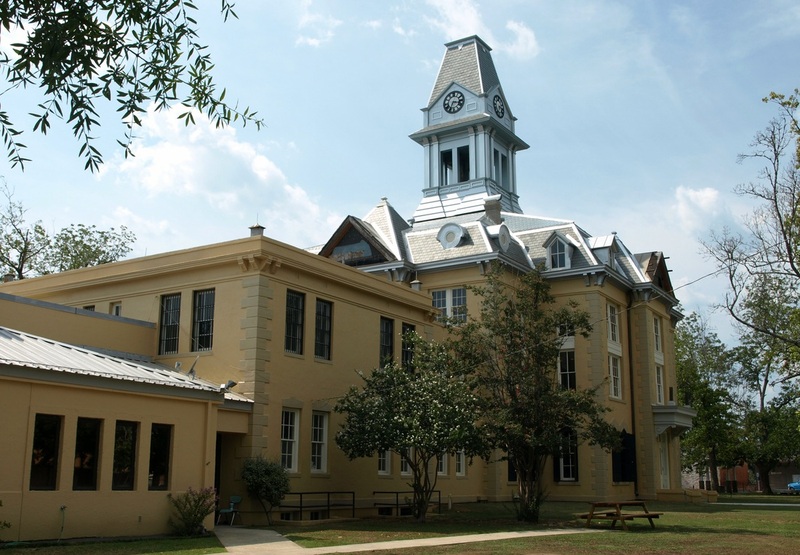 2011: the courthouse restoration is incomplete and on hold. 2015: the restoration is complete. 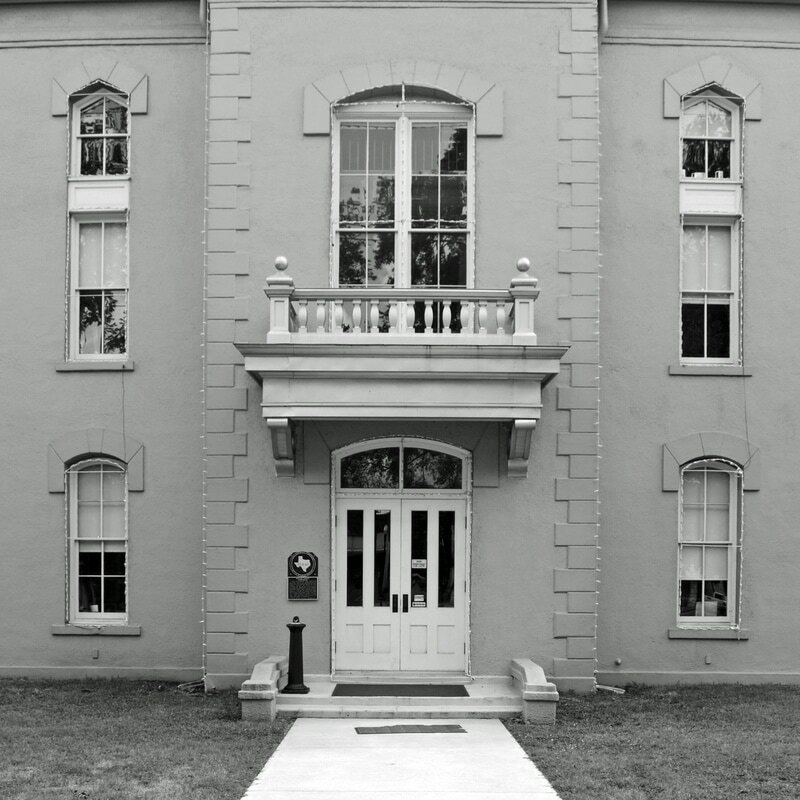 This is the east facade, with additions. The courthouse square is filled with mature trees. 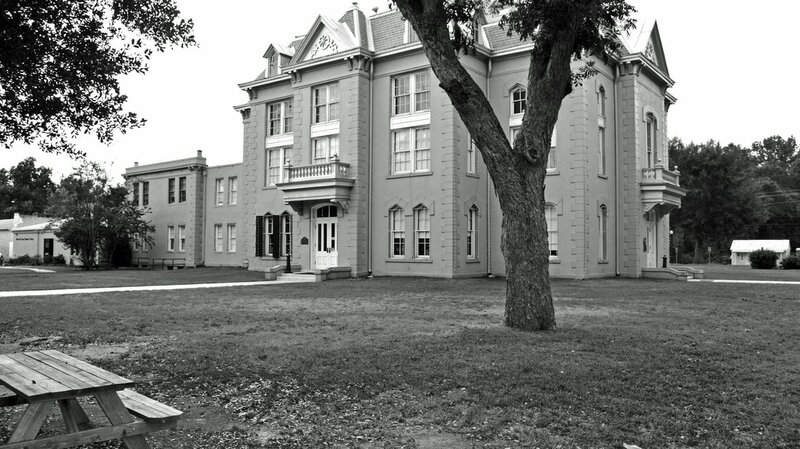 The northwest corner of the courthouse is visible through the trees. The east side of the tower. Apparently, the holiday lights are in place year-round. 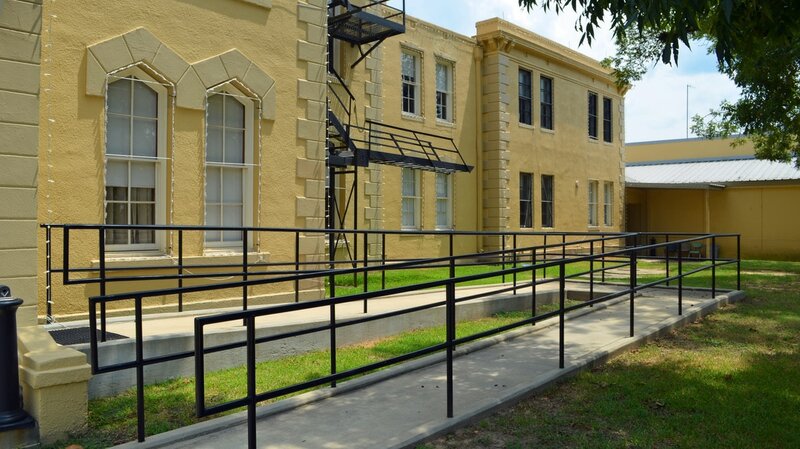 View from the east side of the courthouse. 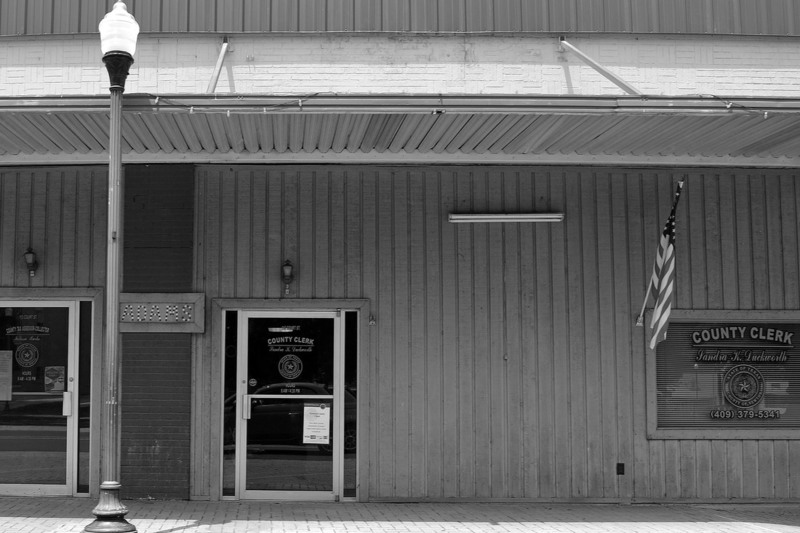 The County Clerk's office on Court Street, on the north side of the square. 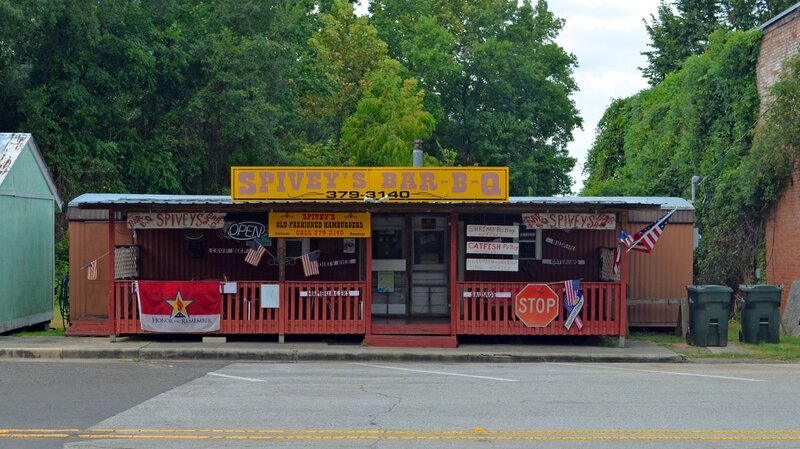 Spivey's Bar-B-Q is on Kaufman Street, directly across from the courthouse. 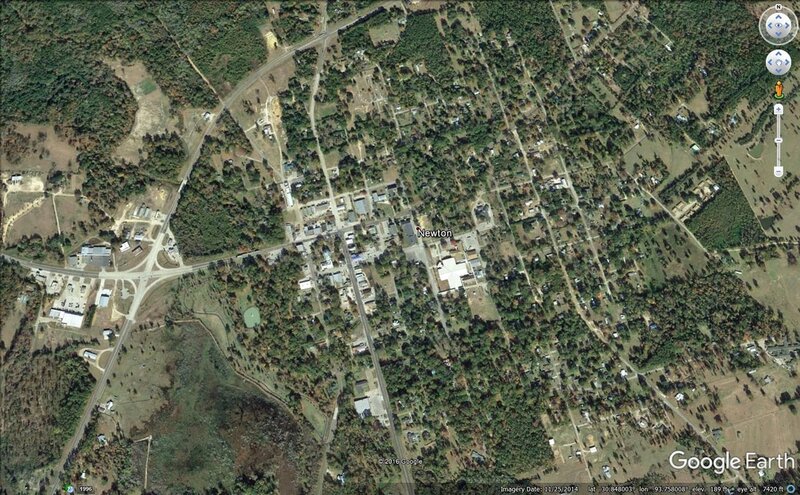 Traveling west on US 190, through the dense east Texas woods, on the way to Jasper.